Ready to be the playmaker all day, every day? That’s right, members – EA SPORTS™ Madden NFL 16 is coming to The Vault on February 2, just in time for the big game. Start your journey off the field in your own personal war room with the all-new Draft Champions mode. Choose which NFL stars and legends you want on your perfect team, and be the playmaker on the field with all-new controls that let you dominate in the battle for air supremacy. New QB mechanics including body-relative throws, plus touch and roll out passes provide you with unprecedented depth and control while under center. Combined with a new risk/reward catch and pass-defend system, get ready for the biggest WOW moments in franchise history. Madden Ultimate Team™ puts you in control of your favorite NFL Legends as well as current stars. Compete in Online Head to Head Seasons, build your roster and control every aspect of your team, from team playbooks to uniforms you have the final word in every decision. Madden NFL 16 is just the latest EA game to join The Vault. 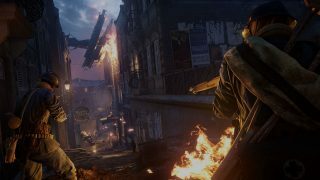 Members can also play Battlefield™ Hardline, Dragon Age™: Inquisition, FIFA 15, Battlefield 4™, and more as much as they want. Members also get a chance to try upcoming EA games before they’re released, and save 10% on all EA digital purchases on Xbox one -- full games, pre-orders, expansion packs, Madden Ultimate Team items, and everything in between. Wait, you're not a member yet? It's the Real Deal! 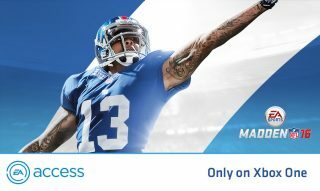 Join EA Access* today!